Is Holy Saturday a Public Holiday? Holy Saturday is not a public holiday. It falls on Saturday, April 20, 2019 and most businesses follow regular Saturday opening hours in Lithuania. 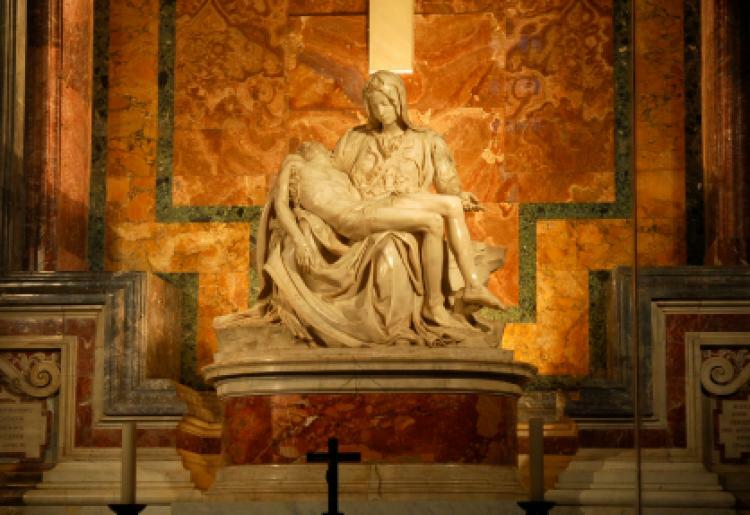 Holy Saturday commemorates the day that Jesus (sculpture of him pictured above) lay in his tomb after he died. He was resurrected on Easter Sunday, the day after Holy Saturday, according to Christian belief. Read more about Holy Saturday.